Nominated "Rising Star" in the 63rd Annual DownBeat critics poll, this is a spectacular debut of the New York's violinist Sarah Bernstein on Leo Records. The CD features the acclaimed violinist with master musicians Kris Davis on piano, Stuart Popejoy on electric bass and Ches Smith on drums. 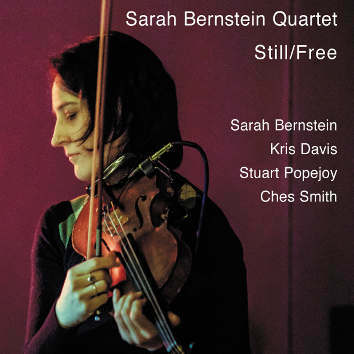 The album showcases Bernstein's distinctive post-tonal and polyrhythmic jazz compositions deconstracted by open improvisation and sonic exploration. The music is developing through seven pieces which flow organically from minimal music to breathtaking be-bop to free jazz.